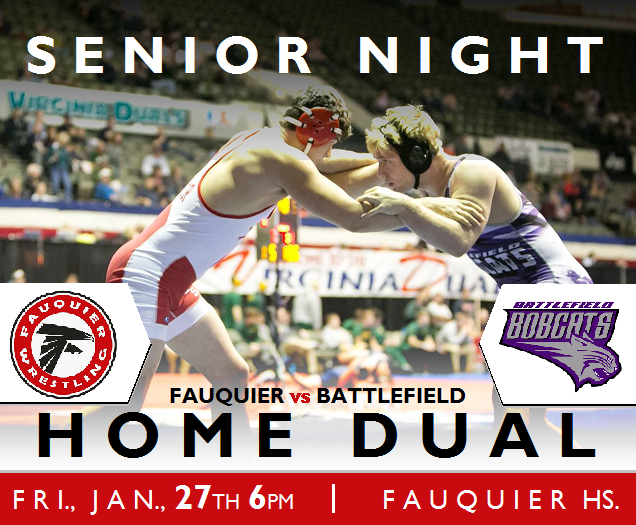 The Fauquier wrestling team had its Senior Night with five seniors on hand in the Falcons nest to face the #3 ranked team in the state of Virginia, but could not hold off the Bobcats as they fell 37-30 on Friday. Fauquier (9-12 for the season) won the first match by pin to take the lead and go up 6-0 as the score would then draw even 6-6 after the second bout. With 120 lbs Junior Kyle Budd winning by a decision over Beau Curtis (Bat.) 4-2 and 126 lbs Ethan Jordan fault for a victory over Jackson Burns (Bat.) 11-8 as the Falcons would then improve to a 12-6 match lead. The Bobcats earned a pin at 132 lbs to once again square the match up 12-12 as the 138 lbs match would be a key match for Fauquier as Senior Cam Franklin would earn a major decision over Shea McCormic (Bat.) 14-2. Franklin lost to McCormic at the Virginia Duals earlier this month as this would be a much-improved match for Franklin as Fauquier would once again take the match lead 16-12. The next two bouts team Fauquier would fall as the Battlefield would finally jump out to a 16-22 lead for the first time. Freshmen sensation 160 lbs Sam Fisher had a take down clinic over Brandon Quinn (Batt.) winning 23-8 while Junior Franko Camarca wasted no time with a 10 second pin over Jacob Rochelle (Bat.) as Fauquier would take a lead again 27-22. 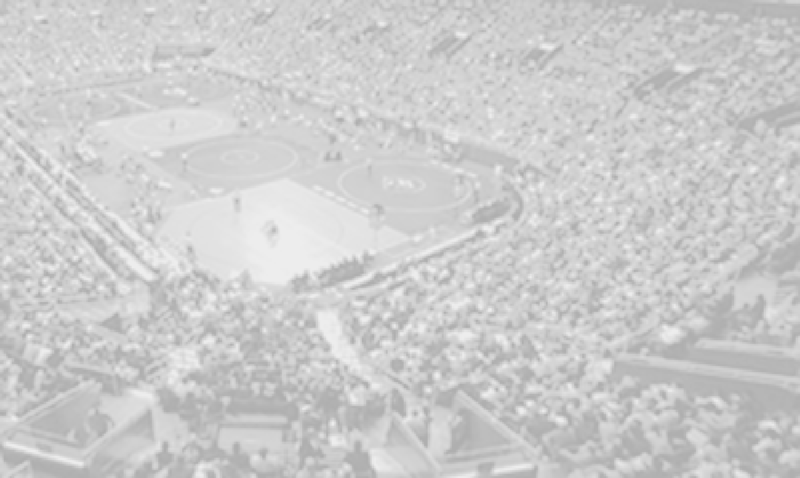 Battlefield then would win the next two matches by pin and forfeit to close out the match 30-37. Team Fauquier are back on the mat Saturday, Jan. 28th as they travel to USMC Challenge Colonial Forge HS, Stafford VA. Wrestling will start at 9 am for five rounds.